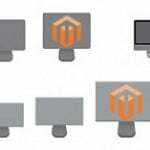 Below, we review a very important B2B Magento 2 extension that allows to implement individual approach to customers by enabling Magento customer specific pricing. Of course, this module can be used for your retail clients as well, so don’t lose such a great opportunity to improve the existing shopping experience. Meet the MageDelight Price Per Customer Magento 2 module. Below, we shed light on its features as well as explore backend and frontend functionality. The MageDelight Price Per Customer module enables tier pricing in Magento 2. 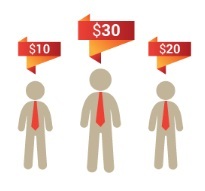 While on a customer information page, you can create tier prices for each individual buyer. The appropriate section is available under the Price Per Customer tab and we will describe it in more details in the backend section of this post. On the frontend, the MageDelight Magento 2 Price Per Customer extension display all information about prices and discounts. As a result, the usage of tiers becomes an additional motivating factor. For instance, the price of a single Item is $34. Allow customers to by 2 items for $30 each, so they will be able to save 12%. This approach will motivate both registered customers to buy more and unregistered customers to create a customer account. Besides, you can set individual fixed and promotional prices as well as offer additional discounts on top of special reduced prices. Note that everything can be configured within just a few clicks due to a user-friendly backend interface. As for the frontend appearance of the MageDelight Price Per Customer Magento 2 module, it is also quite self-explanatory. Now, when you are familiar with core extension’s features, let’s see how things are done under the hood. We’d like to start our backend journed from the configuration section that is available under Stores -> Settings -> Configuration -> MageDelight -> Price Per Customer. The tab is divided into three blocks: License Configuration, General Settings, and Import Export. The first block allows to enter both Serial Key and Activation Key. 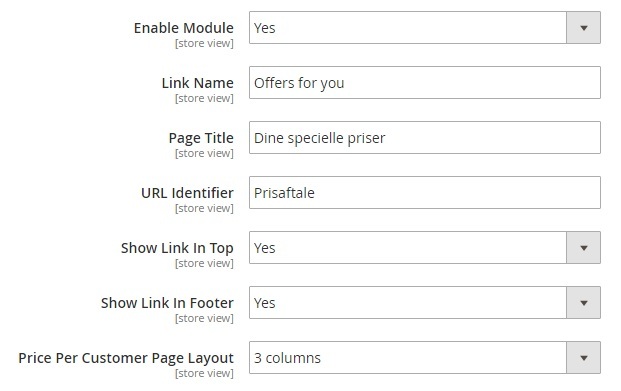 In General Settings, enable the Magento 2 customer specific pricing module, type a link name (note that it should attract enough attention to motivate a customer to view a page with individual offers: “Your Offers”, “Special Offers for You”, etc. ), create a page title (a page products with individual prices are gathered), type an URL identifier, enable link to the page in both header and footer, and select Price Per Customer page layout (Empty, 1 column, 2 columns with left bar, 2 columns with right bar, or 3 columns). As for the Import Export block, it allows to import/export individual customer prices via CSV. Now, go to Customers -> All Customers and select any user. On a customer information page, open the Price Per Customer tab. Here, you can add as many products as you wish. 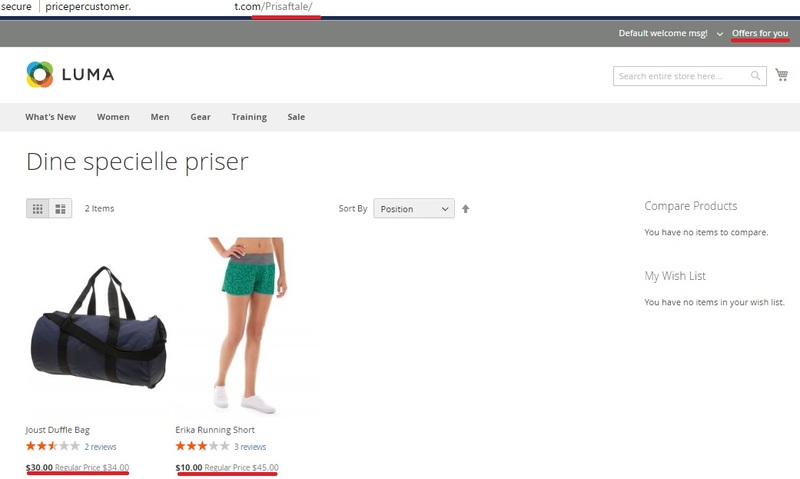 The grid displays product ID, name and price. Next, you can specify 2 parameters: Special Price and Qty – quantity to apply the new price to. Note that special price can be specified as a fixed value, or as a percent. In the second case, you specify a discount amount. For instance, the original price is $45. 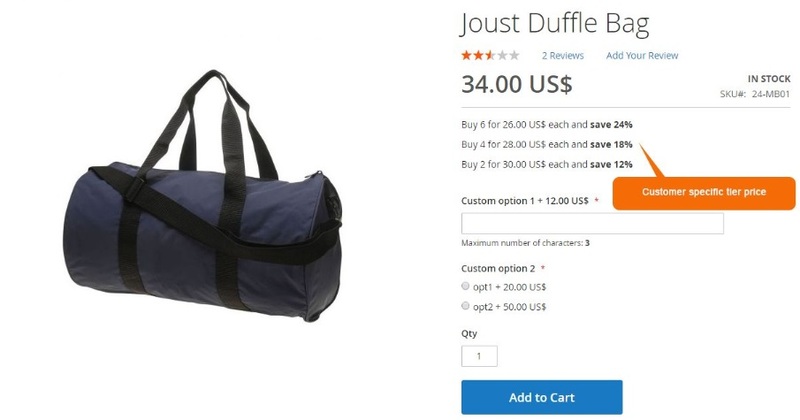 If special price is 20, a customer will be able to purchase the product for $20. If you specify 10% in the same field, the new price will be $40.50. Besides, the MageDelight Price Per Customer Magento 2 module allows to specify a percent discount on all products. And now we will describe how to use the tier pricing template of MageDelight Price Per Customer. Add the same product several times. For each item copy specify a new special price and a different quantity. The lower the price is the more items should a customer purchase. 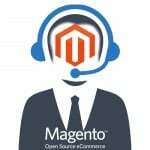 Another way to implement Magento customer specific pricing is to link new prices and customers right to each product. Go to Products -> Inventory -> Catalog and select a product from the grid (click the Edit link from the Action column). On a product info page, find the Price Per Customer section and hit the Price Per Customer Configuration. A new window will be displayed. Hit Add Customers. Select customers from the grid. 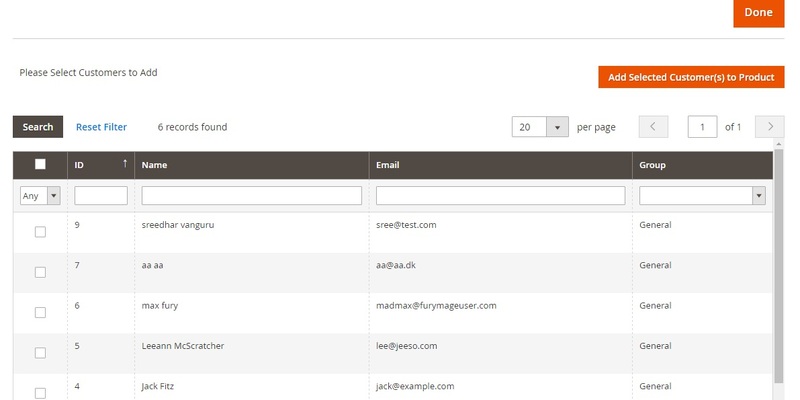 Now, you can see the selected customers added to the previous grid with such data as ID, name, and email. Add special prices and specify quantity necessary to apply the new price. Note that you can use a fixed value or a discount (%). That’s all you need to know about the backend interface of the MageDelight Price Per Customer Magento 2 extension, so let’s explore its frontend. Hit “Offers for you link” on the top right to view a page with special offers (individual prices). Note that the name of the link can be changed in the backend. The same is about the page name and URL identifier where offers are displayed. Pay attention to the product information: not only the discounted price is displayed, but you can also see the original one.